Since 2008, I’ve walked The Cumbria Way twice. I like it that much. If you’re considering following one of my favourite long-distance footpaths, here’s some personal tips and advice which may prove useful. 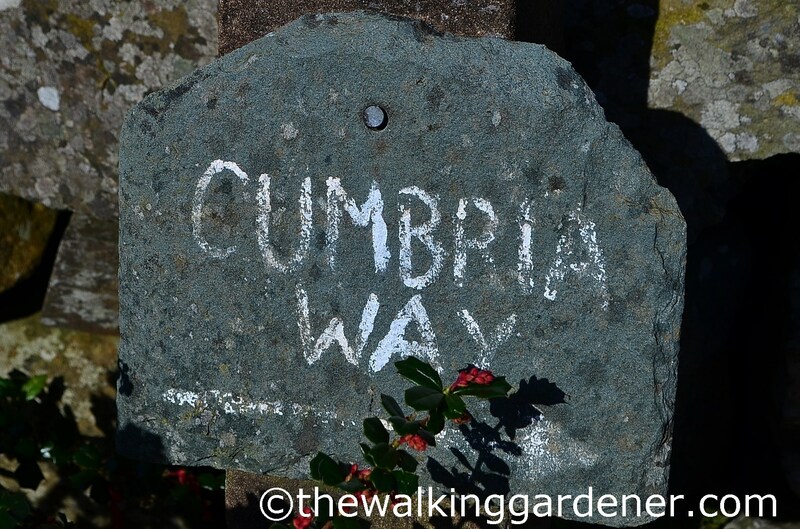 How long is the Cumbria Way? There is no definitive answer to this simple question – at least that I’ve found. Most sources suggest a nice and tidy 70 miles (though I’ve also seen 74 and 75) but the guide-book I used gives the very precise figure of 72½. I totted up the distance for my walk across Cumbria at 73½ miles and so, I’d suggest, the path is a little over 70 miles long. (After all, what’s a couple of miles between friends)? What is way-marking like on the Cumbria Way? Generally very good. There might be times – as on any path – when you’ll go astray or the way ahead is ambiguous but mostly I found the signing of the route excellent. I didn’t have any particular problems sticking to the main route (except on the approach and descent of High Pike). Where an official marker is missing, there are often home-made ones to nudge you in the right direction. But not always and I would urge you to use a guide-book and/or Ordnance Survey maps. If you do lose the path you’ll probably need help to regain it and you’ll certainly need the relevant OS map if you plan on adapting the route or climb an extra fell top or two. You ought to carry a compass too and know how to use it; even if you set out in fine weather. (I approached High Pike under blue, sunny skies but, by the time I started the final ascent, low cloud and mist had reduced visibility to about 30 metres. I needed my compass to reach the top and descend again towards Caldbeck. Just saying). Is the Cumbria Way a tough walk? No, not especially. There are easier, flatter paths but, so long as you are reasonably fit, the CW shouldn’t present any real problems. There is one major, unavoidable climb – to the top of Stake Pass – when you’ll huff and puff and curse me for saying what a doddle the ‘Way is. But the only other significant ascent – of High Pike at 658m/2159ft, the CW’s highest point – is easily sidestepped by using an alternative, if longer, western route. 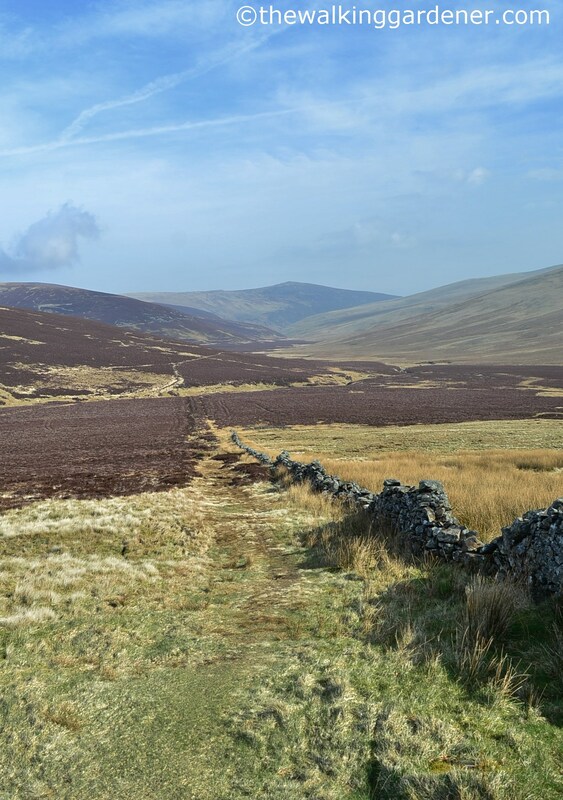 (There is a choice of routes between Skiddaw House Youth Hostel and Caldbeck: either the western, 16½ mile, low-level path via Orthwaite; or the eastern, more direct, 14 mile High Pike route). I’d suggest avoiding the western route unless the weather is awful or visibility rubbish. I walked it in February 2010 and it’s a perfectly nice walk; but the eastern, High Pike path is better. Though the CW is mostly low-level, there are other, lesser climbs too. (This is Cumbria after all). Of these the most notable are: leaving Keswick going north across the flanks of Skiddaw; and a series of hills and valleys between Ulverston and Beacon Tarn. If you start in Ulverston, you might find Day 1 to Coniston a tiring baptism. I know I did. But you’ll have an easy stroll along Coniston Water at day’s end; and, the following morning, an almost restful amble to Great Langdale during which to recover (and with an optional stop at one of my favourite pubs – The Brittannia Inn, Elterwater). 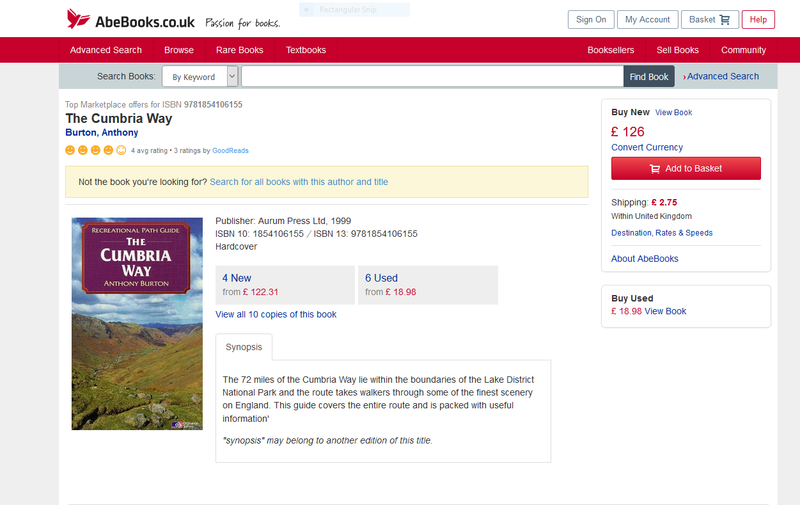 Can I recommend a Cumbria Way guidebook? I can … but I’m afraid it is out of print. 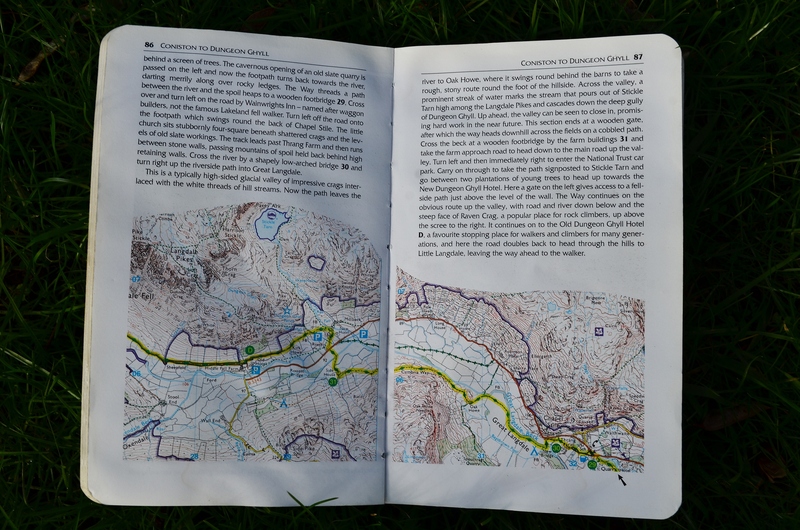 with useful 1:25 000 OS map sections, notes on path directions and plenty of information about the country you’ll cross. You can try finding a second-hand copy but my quick search on Amazon and Abe Books had some eye-watering prices for new (?) copies. The used prices are far better but still expensive. but as I haven’t used them, I can’t say how good they are. Sorry. Where to start? Coniston or Ulverston? For a final day, the approach to Carlisle is mostly an uninteresting trudge and, after several exhilarating Cumbrian days, who wants that? 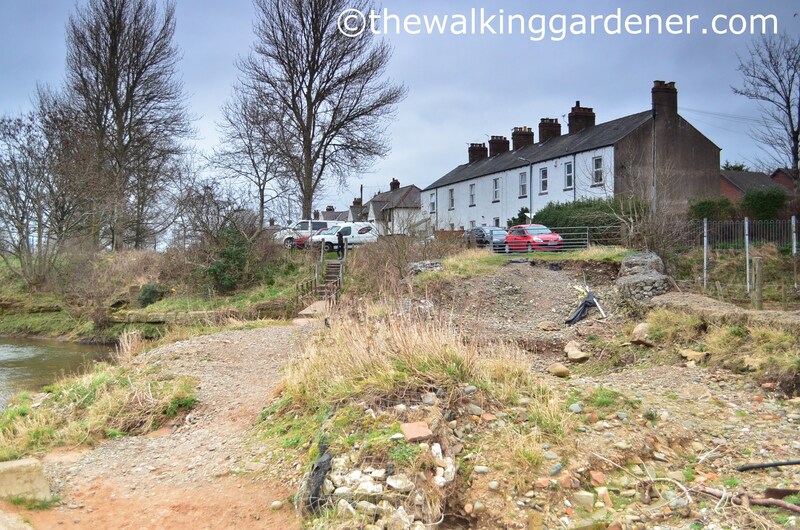 The initial walk from Caldbeck is pretty enough, but you’ll be underwhelmed after passing through the central Lakes; and the last 5½ miles from Dalston to Carlisle – on a concrete cycle track – are undeniably low-key. The city outskirts are pretty grim too: past bleak buildings and along busy roads. And there is nothing specific to aim for: no sign, no plaque nor statue marking the CW’s finish or start in Carlisle; nothing which you can pat or lean upon for that self-congratulatory selfie. Whereas, starting in Carlisle is actually quite a good first day. If you haven’t done a long walk for a while (as I hadn’t) you shouldn’t find it too strenuous and it’ll break you in more gently than setting out from Ulverston. The unlovely exit from Carlisle is soon over (whilst you’re still in start-of-walk-high-spirits), with the route becoming increasingly rural and attractive before dropping you neatly into Caldbeck. The second day, southwards, thrusts you straight into the fells for an almost faultless four more days. Coniston to Ulverston, also works nicely southwards with a gentle start along the bank of Coniston Water, followed by lovely rolling hills and fields, before the vast vista over Morecambe Bay welcomes you to the finish. 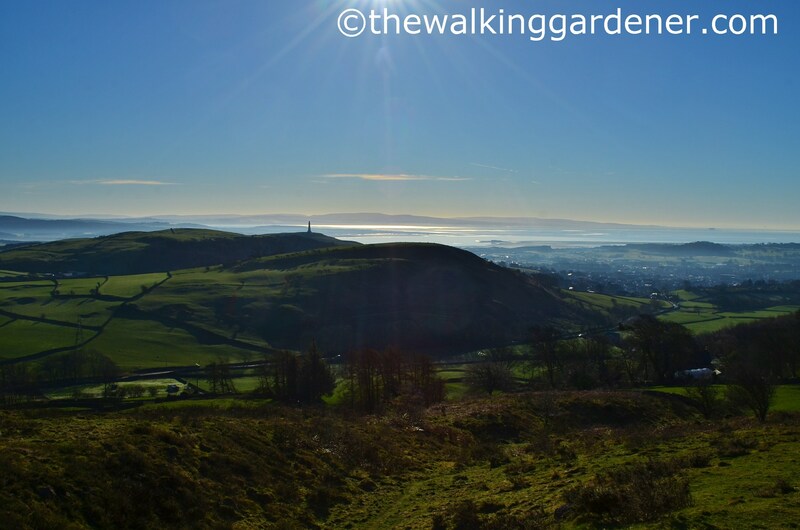 And at Ulverston there is no dispiriting urban hinterland or main roads to navigate – just an immediate descent from farmland to a quiet cul-de-sac and The Cumbria Way cairn and compass statue, near the town centre. Seamless. 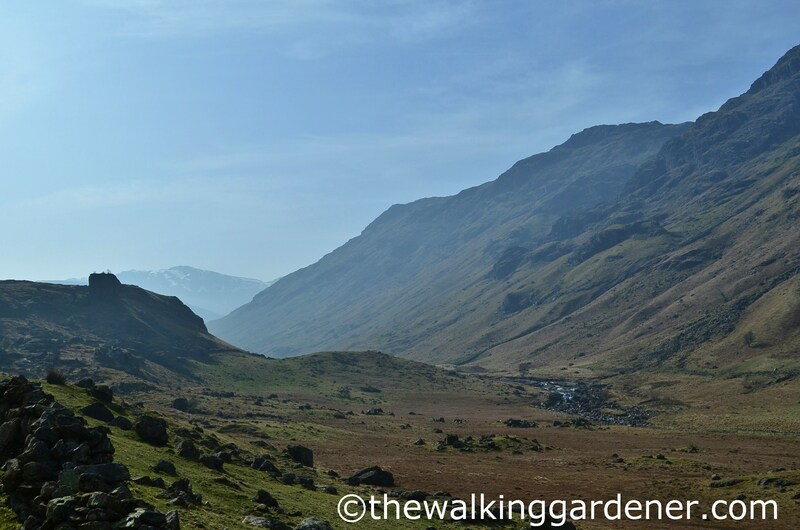 In addition – for the pro-southward argument – the climb up to Stake Pass is slightly easier from Langstrath than from Great Langdale; and the fantastic views as you descend into the latter deserve to be faced full on. (All this talk of views rather depends on clear weather of course)! In his guide-book, Anthony Burton writes: “Walkers setting out along the way have to decide the direction in which they are to go, and in this case there is no obvious answer. Both ends of the walk are easily reached by public transport. The prevailing winds are westerlies, and so will blow across the route whether one is walking north to south or vice versa“. It’s interesting that he mentions the prevailing wind as I’ve seen this argument as the main reason against walking southwards. (I’ve only once experienced a truly difficult headwind – on Wainwright’s Coast to Coast – and that was an icy, Siberian and non-prevailing easterly). Mr Burton goes on to explain why he decided to write his guide from south to north but admits his are personal, subjective reasons. I think north-south is the way to go but do let me know if you disagree. (Rosthwaite or Stonethwaite in Borrowdale sit on or just off the path and are natural stopovers for splitting Day 3 in two). There are, of course, endless variations on where you rest your head and how many miles you walk each day, but the above gives a framework to adapt as you see fit. However many days you take, you might wish to insert a rest day into your itinerary and/or a day to explore the fells from Coniston, Langdale, Borrowdale or Keswick – all of which offer great opportunities for bagging a mountain or two. Keswick is the only town on the path between Ulverston and Carlisle; and, at roughly halfway, makes for a good rest day. There’s plenty to see and do, fine outdoor equipment shops, decent pubs and restaurants, laundrettes for tackling those mucky clothes, the best Oxfam shop I know and a smashing independent cinema – The Alhambra. There’s also a good bus service to Penrith for mainline rail services. You might also want to consider amending the path to deviate from the official route. For example, in 2014 I left the CW at Coniston and climbed Coniston Old Man to follow a mountainous, exhilarating traipse to Langdale (a path I strung together using the relevant OS map). 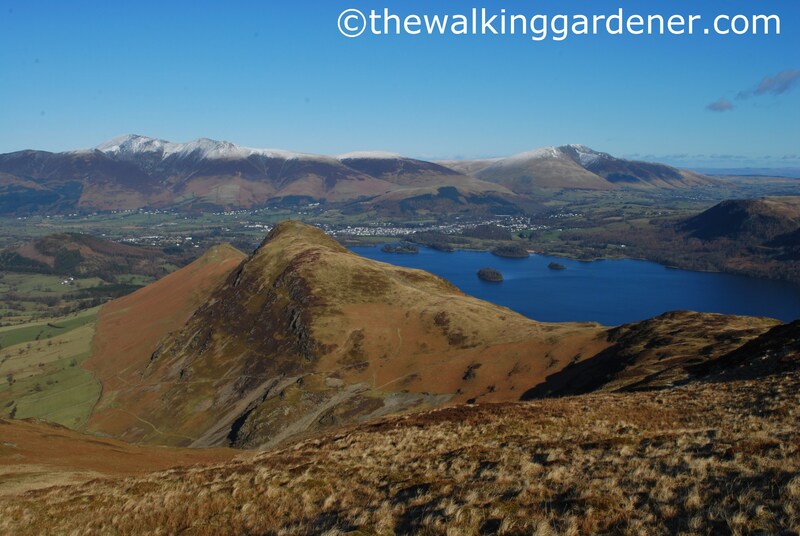 And there’s a similar excellent, ridge walk between Borrowdale and Keswick – along the crest from Dalehead Tarn to Catbells. A study of the OS map will show any number of fells to include on your walk, should you be so inclined: Coniston Old Man, the Langdale Pikes and Skiddaw are the most obvious. 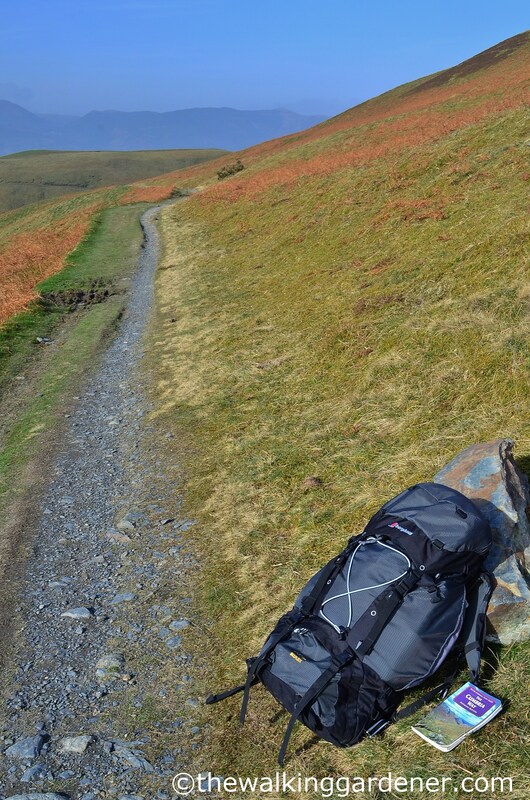 What equipment will I need on the Cumbria Way? Unless you’re camping, you won’t need a very heavy rucksack (but then that’s never stopped me). If you’re using a luggage-transfer service you’ll only need a daysack containing waterproofs, water, food, camera and the like. However, you should still carry some items in case of emergency – see below. Don’t forget lunch. There is nowhere to buy food between Ulverston and Coniston; nor between Keswick and Caldbeck. Neither is there a shop any more in Rosthwaite, Borrowdale – though there are pubs and a teashop. And something to carry that lot in. 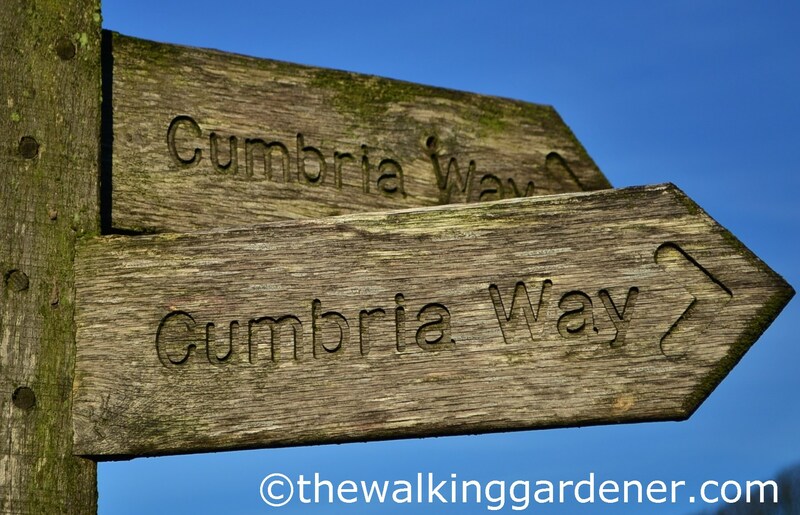 When to walk the Cumbria Way? Most people wouldn’t contemplate undertaking a long distance footpath outside of April to September. So the accepted advice is … April to September. The fells are green, days are longer and the weather kinder. But there will always be a big spadeful of weather-luck involved in any walk. Cumbria is England’s wettest corner and walking in summer won’t guarantee dry weather – though the chances are more favourable. Personally, I prefer seeing the fells without hosts of brightly clad Goretex weaving up the busier paths and with fewer crowds in the villages and towns. And pubs. But then I prefer a sense of solitude whilst walking. I generally go when it is quieter and accommodation easier to book. I walked half the path in early January 2008, the other half in early February 2010 and, most recently, the whole path in March 2014. You’ll be irritated to hear that it didn’t rain once on any of those days! But, conversely, I might have found the way blocked by snowdrifts or flood. Like I say, a big spadeful of weather-luck. 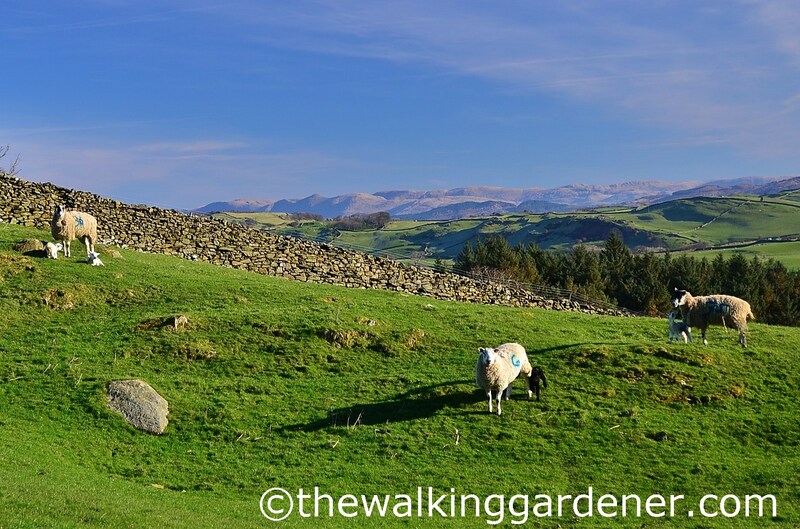 So by all means walk the path during peak season – statistically you will have better weather and likely you’ll meet other Cumbria Way-ers too. (I never have)! But do at least consider spring or autumn. 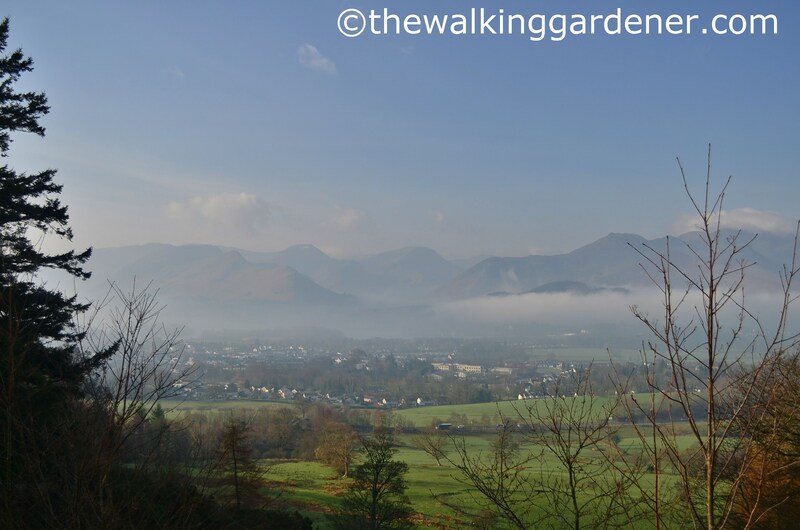 The fells are fantastic on clear sunny days in March or October and often you won’t see a soul for long stretches. I wouldn’t suggest walking the path in winter unless you have experience in winter fell walking, are properly equipped and ready to abandon the walk altogether if the weather turns truly lousy or dangerous. How expensive is walking the Cumbria Way? 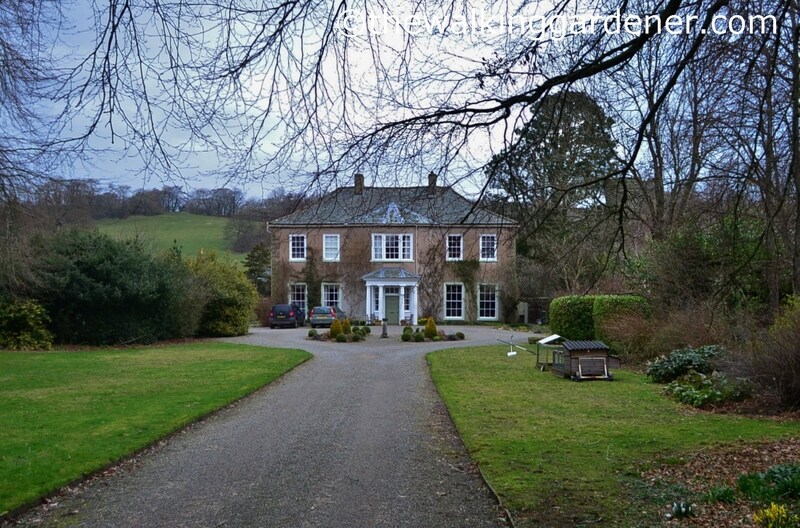 My 5 nights B&B cost a total of £222 but obviously youth hostelling or camping are cheaper options. Yep, especially if you’re walking in peak season … but I pre-book whatever time of year. Arriving at my target accommodation only to find it full, closed for refurbishment or the owner’s annual holiday, would make me very sad indeed. If you don’t want to tie yourself to a fixed itinerary by pre-booking, phone ahead on the day, straight after breakfast, to ensure the B&B you’re aiming for is open and has a spare room. If you’re out of luck and have to walk a further five miles to the next available bed, best to know that before setting out. Annoyingly (for us walkers) some B&B’s, especially in Keswick, have a two-night minimum booking rule. But I’ve found that if I phone on the day, and they’re not full, they usually relent (rather a one night booking than none at all). Some places, like Caldbeck, have a limited number of beds, so make contact as early as possible. And if you’re unable to find a room in a particular village, contact B&B’s further afield and ask whether they will pick you up and return you to the path the following morning. Many do so without charge. A brilliant resource when booking accommodation for a long-distance footpath is Sherpa Van. 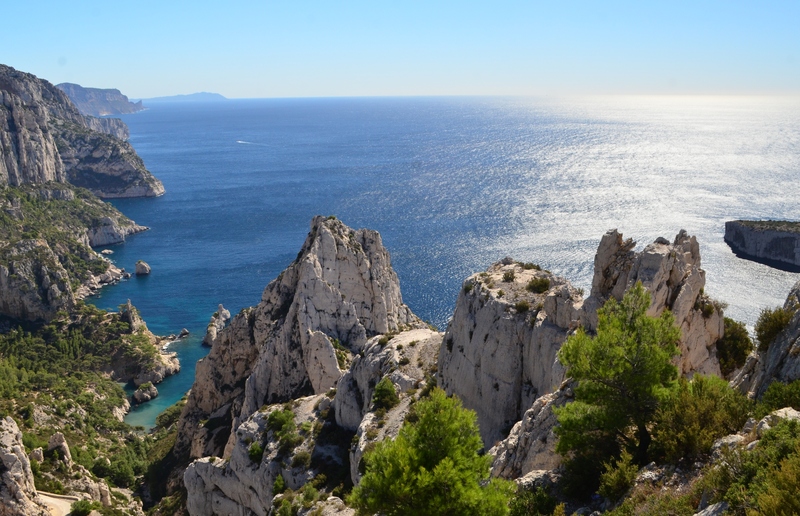 They are a walking-holiday company offering an accommodation booking and luggage transfer service. Here’s the link. They are happy for you to use their listing pages but if you do, please tell any B&B’s you contact how you found them. 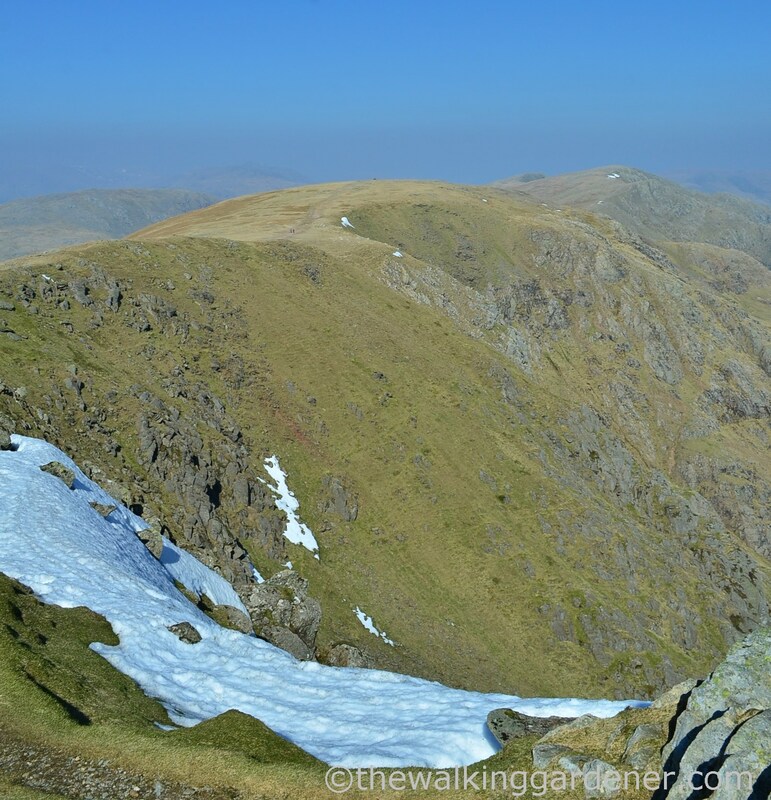 Will I walk the Cumbria Way again? Yes, I hope so. There are a handful of long-distance footpaths which on completion, I know I want to re-walk. The Cumbria Way is a scenic belter and cuts right across my favourite county; including parts I wouldn’t otherwise have seen. Having twice walked it solo, I want to enjoy it again with friends. Some walks are just too good not to share. Having landed at Heathrow on Saturday to snow, I had been wondering what on earth we were doing here, but perhaps planning a walk along the Cumbria Way will make me feel a little better. My dear grandmother lived near Morecambe Bay so it would be particularly meaningful for me. Very helpful to have all this info; it does sound fantastic. By the way, great to read about you in the Sunday Telegraph yesterday! I hope to return to England from my home in North Carolina (US) in 2018 to walk the Cumbria Way; and am even more excited to do so after reading this. I completed Wainwrights C2C last year with my sister, who was celebrating her sixtieth birthday. Sherpa Vans booked all of our accommodations, and carted our luggage from Inn to Inn. They did an excellent job! Your pictures bring back fond memories. I particularly enjoyed the Borrowdale area. Next year, for my sixtieth birthday, I hope to walk either the Kerry Way or the Dingle Way, in Ireland. Have you experience with either one? Thanks for your timely blog to my inbox. My friend & I are going to do this walk soon to celebrate our 40 years of friendship! 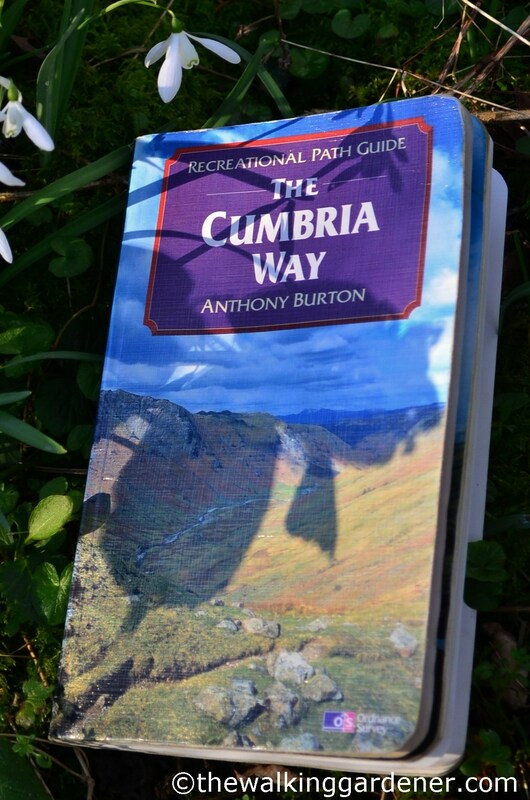 I looked up the suggested book The Cumbria Way & my local library had it so I rushed there at 9am & grabbed it!! 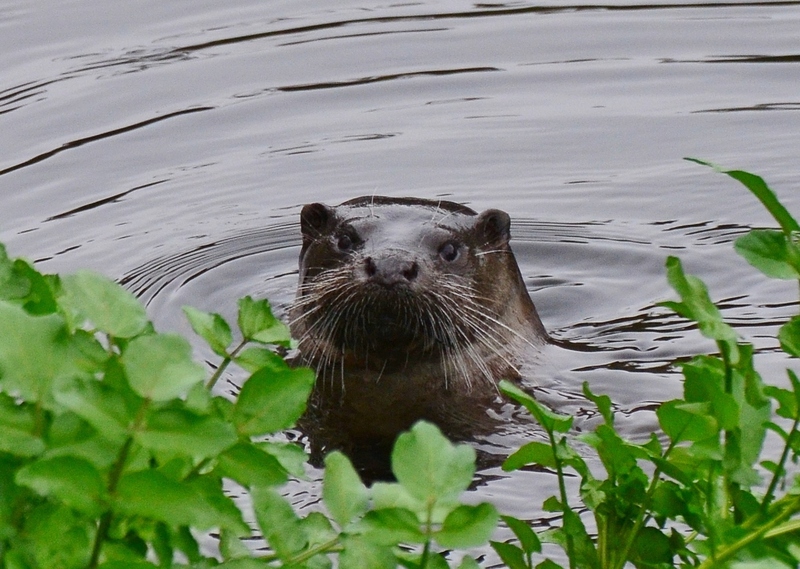 Thanks for your advice & photos,we’ve now got to decide…..North to South or South to North! Excellent post Dave, when the other half wakes up I am going to terrify him by suggesting we do it, preferably with my bil and sil, who are keen walkers and have less rusty map reading skills. Thank you for the inspiration!